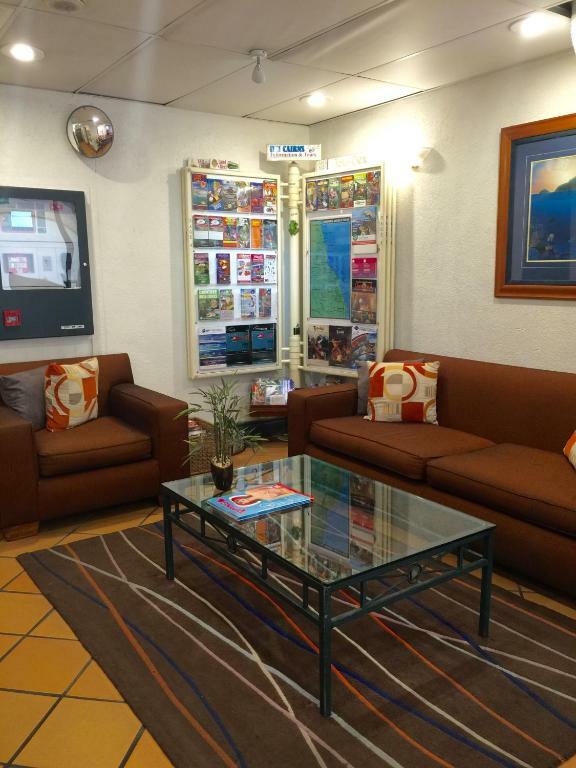 Great location within walking distance of beach, harbor, strand. The location of the hotel was perfect. Within walking distance to everything in the city area. The location is really good, close to supermarket and a lot of restaurants, within 5 minutes walk to the esplanade. The room is spacious and clean. Location, close to shops and right in the center of city. Only a 5 minute walk to the waterfront restaurants. I stayed on the fifth floor which had fabulous views of the city towards the waterfront area. The bed was actually a little HARD but the lined was fresh and I got used to it. The pool area was very nice. The staff were friendly and helpful. Perfect location walking distance to the fleet terminal, esplanade, restaurants. The grocery store is just across the street. The room is very clean, it is the most comfy room i stayed in Cairns!!! Highly Recommended!!!! Lock in a great price for Inn Cairns – rated 8.3 by recent guests! 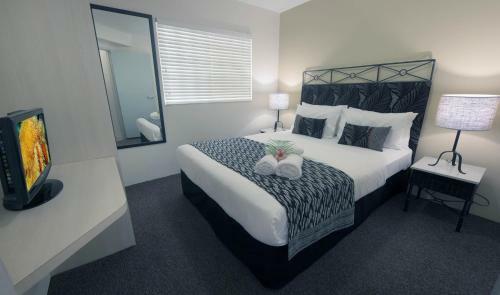 Inn Cairns This rating is a reflection of how the property compares to the industry standard when it comes to price, facilities and services available. It's based on a self-evaluation by the property. Use this rating to help choose your stay! 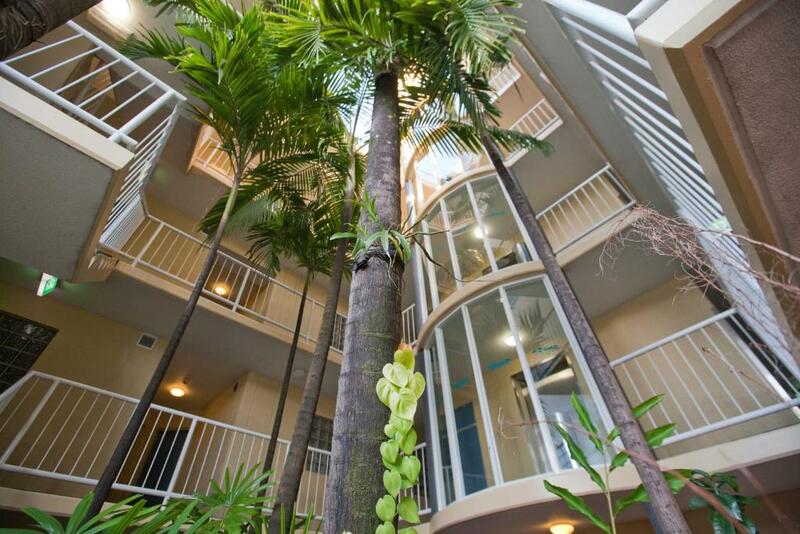 Located in the center of Cairns, Inn Cairns offers spacious, self-contained apartments with a private balcony. The rooftop terrace garden provides views of the Great Barrier Reef islands and the emerald green mountains. The complex has a landscaped pool area, barbecue and gazebo. It features free, secure undercover parking. 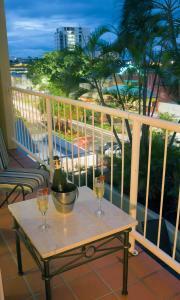 Inn Cairns is 5 minutes’ walk from the restaurants and bars along the Cairns Esplanade. It is 10 minutes’ drive from Marlin Jetty and Reef Fleet Terminals are 10 minutes' walk away. Buses run from in front of the complex to Port Douglas, Cape Tribulation and Mission Beach. Apartments at Inn Cairns are air-conditioned and offer a flat-screen TV with cable channels. 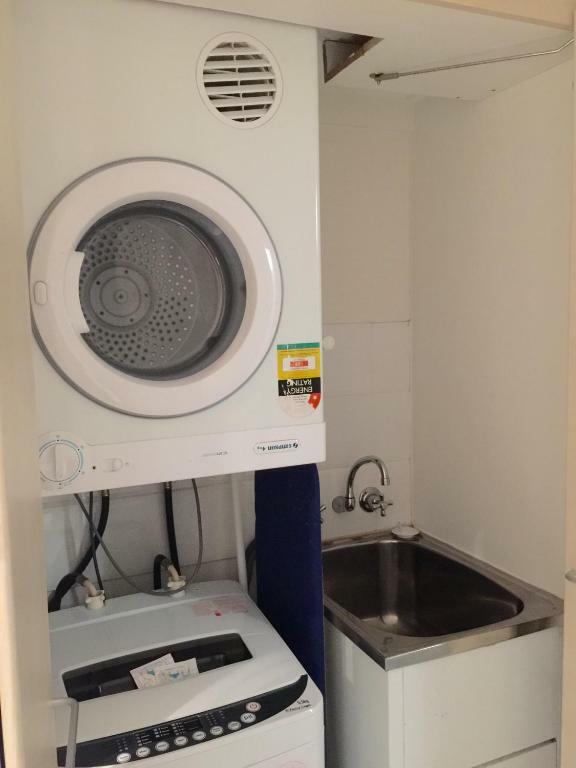 There is a kitchen and laundry facilities in each apartment. This property also has one of the top-rated locations in Cairns! Guests are happier about it compared to other properties in the area. 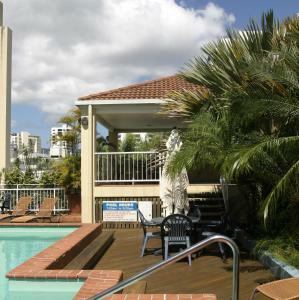 뀐 Located in the top-rated area in Cairns, this property has an excellent location score of 9.4! When would you like to stay at Inn Cairns? This spacious, self-contained apartment features a fully equipped kitchen, laundry facilities, lounge/dining room, separate bedroom, private bathroom, air-conditioning and a private balcony. Guests using the sofa bed will incur a surcharge. 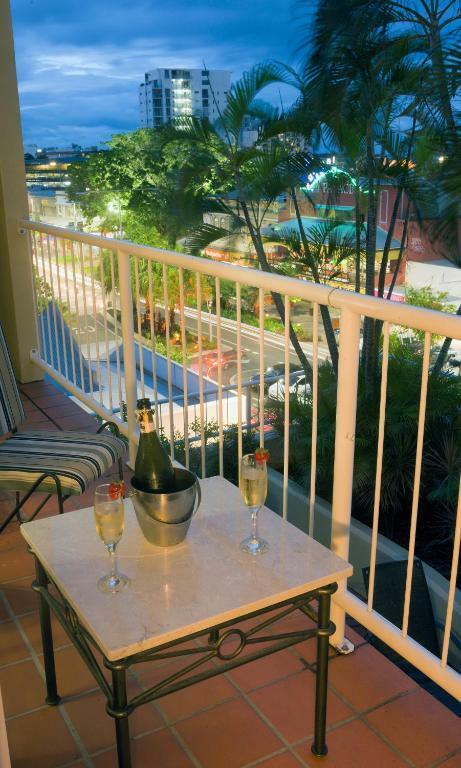 Ideally located in the heart of the Cairns CBD, you are only a short walk from the beautiful Cairns Esplanade and surrounded by the best shopping and restaurants Cairns has to offer. 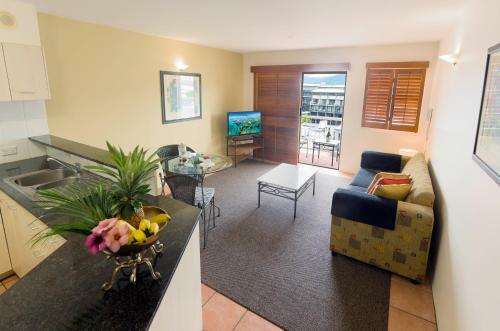 Accommodation at Inn Cairns features generous proportioned well appointed one bedroom self contained apartments each with their own balcony. They are suitable for everyone from Holiday Makers to Business Travelers. Go for a swim, relax beside the pool, enjoy the spectacular mountain and coastal views from the 7th floor rooftop or just step outside and right into the heart of all that Cairns has to offer. The choice is yours right here at Inn Cairns Boutique City Apartments. Inn Cairns Boutique Apartments is operated by locals. We have a vast knowledge in all things Cairns and are ready to answer your questions to assist in making this your best holiday ever. All tours can be booked at reception and our knowledgeable staff are well able to assist you in choosing the most suitable tours for you. There are a huge variety of shows, restaurants, pubs, tours and so much more right at your doorstep. Within a short 10 min walk you can access everything from the Cairns Central Shopping Centre for all your shopping delights and movie theatres. The Cairns Esplanade where you can cool off in the lagoon or just wander around the famous Cairns Night Markets, the Cairns Marina where all the Reef Tours depart. The Cairns Base Hospital is just a short 5 min. 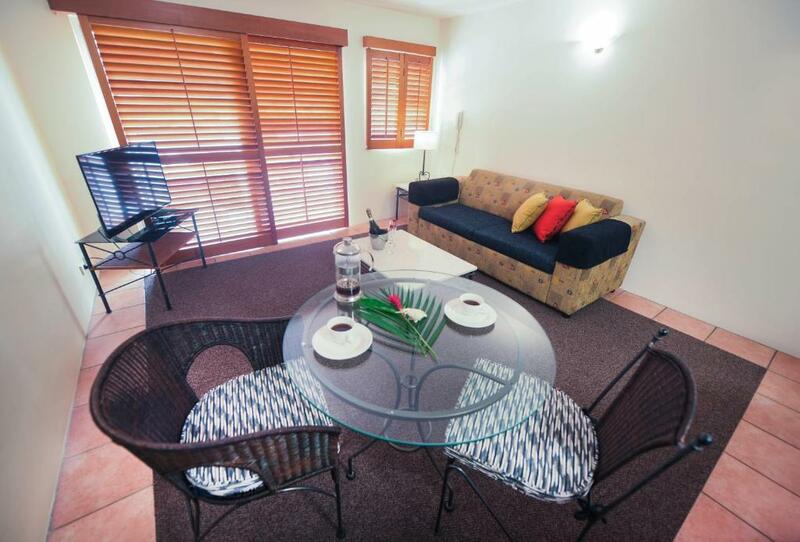 drive / taxi ride from Inn Cairns Boutique City Apartments. House Rules Inn Cairns takes special requests – add in the next step! A AUD150 damage deposit is required on arrival (around USD107.71). This deposit will be fully refunded at check-out, as long as there isn't any damage to the property. All children under 16 years are charged AUD 25 per night for extra beds. Inn Cairns accepts these cards and reserves the right to temporarily hold an amount prior to arrival. Please inform Inn Cairns of your expected arrival time in advance. You can use the Special Requests box when booking, or contact the property directly using the contact details in your confirmation. A damage deposit of AUD 150 is required on arrival. That's about 107.71USD. This will be collected by credit card. You should be reimbursed on check-out. Your deposit will be refunded in full by credit card, subject to an inspection of the property. Interior of apartment in serious need of refurbishment; unit very moldy. Only one flat pillow p/p. Zero wi-fi reception although we received a code. Older style building.. could do with a revamp.. It is a little tired but you get what do you pay for. AC system was old and loud, it was inside the air duct and vibrating the whole wall all the time, faulty fire alarm went off early morning around 5 am so basically enabled NO SLEEP AT ALL. Great location, excellent value for money (without a doubt! ), it is an older building and you book not expecting the Ritz. Bang for buck far exceeded expectation! oh - definitely check out Prawn Star trawler down on the marina, great true blue staff serving fresh seafood on a trawler - you can't beat it (we had the seafood platter - which was amazing, worth the $100!). The Inn is well placed in the center of the city with secure undercover parking (if you get in early). The staff were pleasant. The pool area is well maintained. The room was reasonably quiet. Was able to shop at Woolworths and make dinner. Bedroom doesn't have blockout curtains, just a plastic venetian blind, which allows lots of light in, making it difficult to sleep. Also the airconditioning was quite noisy. the cleanliness and the handy central location. Desperately in need of refurbishment. I understand that this on the agenda. Location, well appointed, size and comfort.